Double-0 Marketing (pronounced double-ohh) is a marketing communications agency specializing in brand development and design. But that’s not all that fills our creative day. You’ll find us reveling in advertising, graphic design, direct marketing, web design, print publication design, film production for tv spots and corporate videos, trade show experiential design and even traditional public relations. Creativity certainly is our passion. It’s our fuel. It’s our language. Yet we strongly believe marketing strategy and creativity are inseparable - One does not exist without the partnership of the other. Therefore, every creative project is embedded in a well thought out strategy. So at Double-0 we wear two hats for our clients. First, we are their brand stewards responsible for creating effective marketing strategies. And second, we bring strategic insights to life in a creative execution. The two are seamlessly blended in every challenge we embrace. 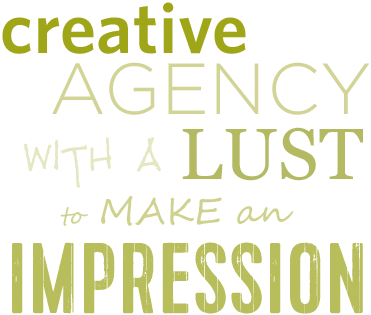 We love creative opportunities, but you’ll find no artistic prima donnas here. Our group is fun, enthusiastic, and foremost, absolutely professional. Our philosophy is to NEVER settle in the work we deliver. 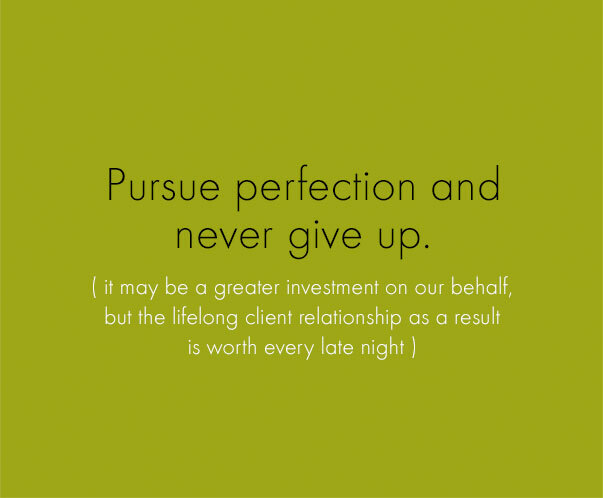 Instead, we strive to provide clients with exceptional work and impressive solutions. Exceptional work that is defined by both effort and results. With a proven track record in over eighty business categories and a wide spectrum of clients, we’ve probably built a brand in your market. 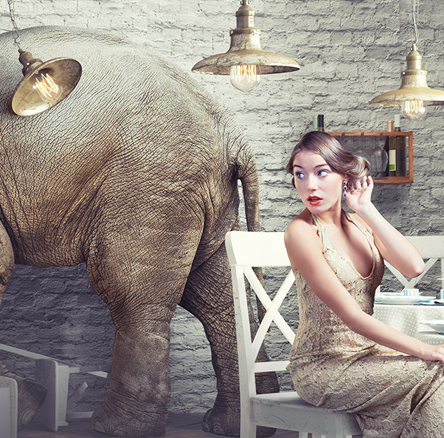 This diversity enables us to apply “best of breed” experiences to your brand’s situation. We look forward to learning about your specific marketing needs, diving deeply into your brand’s unique assets and creating a one-of-a-kind solution to propel your market presence. 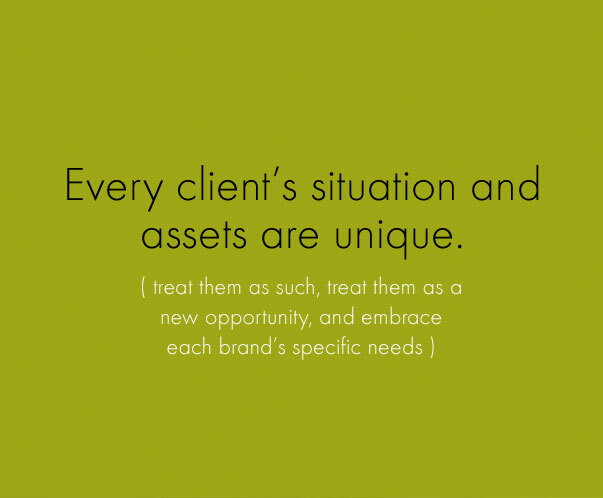 The foundation of any good brand is understanding your assets, your competition’s assets, what the target audience needs and establishing a brand proposition that resonates with potential customers. Whether you are seeking a marketing strategic plan, a fully integrated execution or one one-off creative project, all require good strategic preparation. 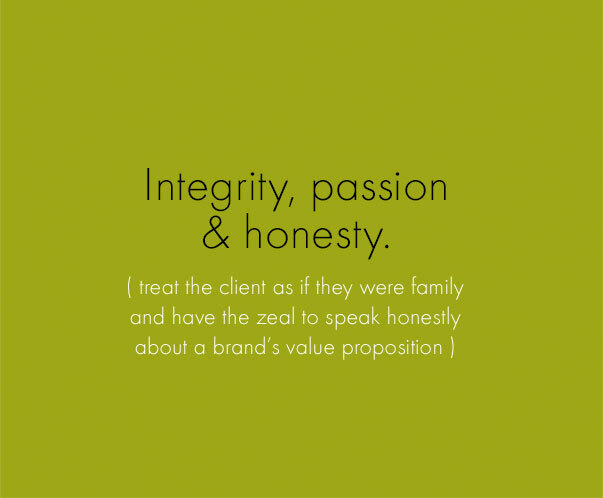 A brand is what sets your business apart from a consumer’s consideration set. It’s a clear and differentiated identity that manifests itself in a logo, brand name, value proposition, a mission, other means of identifying what you stand for, and even a brand color palette. How you are perceived can be established by one thing or a collections of impressions. In either case, any and all are mission critical. Where and how does your brand come to life? 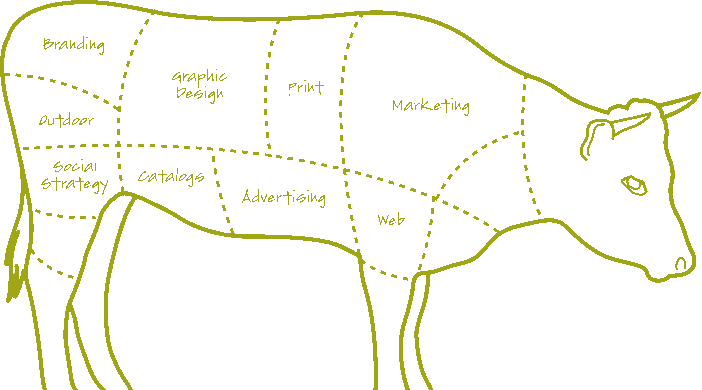 Is your brand intersecting with consumers? And when consumers interact with your brand, is it a positive experience that fulfills any brand promises and resonates with their needs? Let us help you successfully reach potential customers with an effective mix of tactical approaches. And let us devise messaging, tone, a “voice,” and a look and feel that keeps consumers coming back for more.